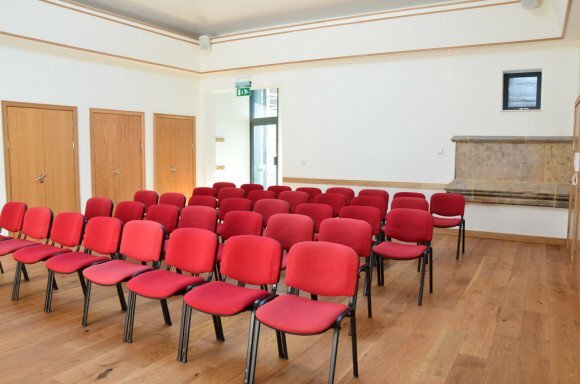 A beautiful first floor room, the hall is light and airy with its large roof light and glass areas. It is accessible via the lift or either the spiral or traditional staircase. A well-equipped but compact kitchenette adjoins it which is ideal for any catering which does not require an oven. 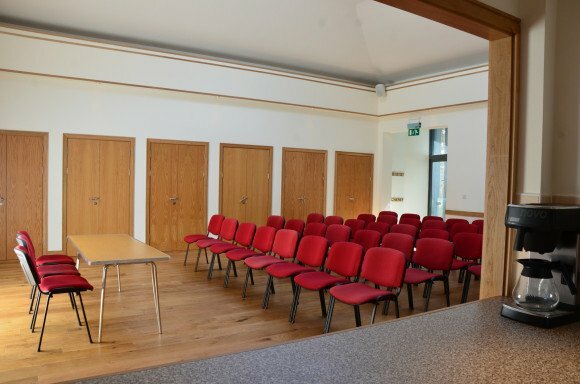 Up to 70 people can be accommodated in theatre style layout; a maximum of 40 people in boardroom layout, and 50 for cafe style layout. 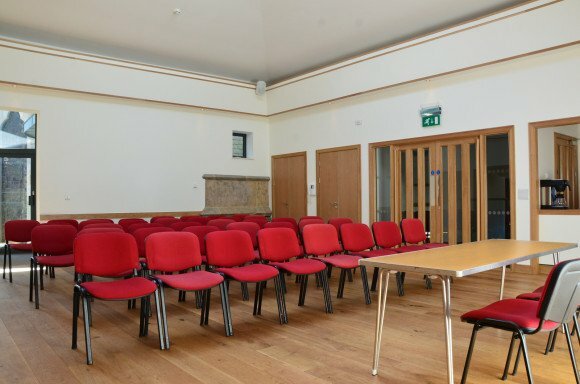 A selection of trestle or round tables are available, as well as projectors and flip charts at no extra cost.